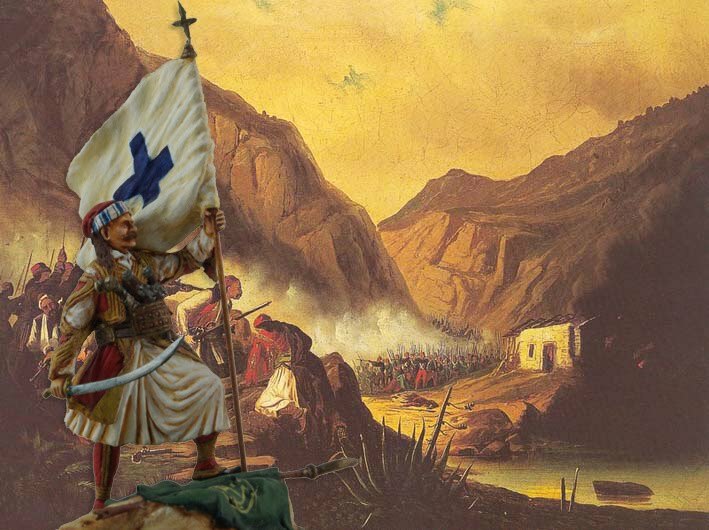 Every year, when Greek Independence Day approaches, we hear within our community the retelling of this great event as the fight for freedom from oppression and tyranny of “Turkokratia” (Ottoman rule). Yet the explanation remains at this basic and superficial level, without much qualification or thought, as Greeks then adjourn to attend to “celebrations” and glendia dressed as “cultural” events. This awful habit of abandonment to excess and debauchery, in order to “celebrate” independence raises serious questions over our cultural and historical sensitivity and awareness, as well as our honour. Rarely do we hear people ask questions as to what was this tyranny and oppression that our forefathers endured. Why was Turkokratia so unbearable and awful? What was the freedom that our forefathers sought, and why did they choose the period of Great Lent to revolt, as opposed to other more opportune times? Why was their battle cry, “For the Faith and the fatherland, freedom or death”? Why did all the banners and flags of insurrection, bear the colours of blue and white, with the crucifix featuring prominent? How many of us know what was the original “national anthem” that the freedom fighters chanted, that existed prior to the composition of the present national anthem that we all know today? Why did the revolutionaries not view themselves as freedom fighters, but as martyrs of the genos? However, we should also ask about who were the people that inspired this zeal and cultivated the ground necessary to sustain a successful revolution and the building of a nation? Why do we forget the figures of the Kollyvades movement, who inspired the resolve of the martyrs by their selfless and life-long ministry of sacrifice and devotion towards the up-building of the genos by constructing and maintaining institutions like schools, resolving disputes in communities and encouraging them to support their ministerial efforts, and exhort Greek merchants to help finance these projects and engage in works of philanthropy? Why are we ignorant of the reason that was the basis for the creation of the modern Greek state, and to whom it was to provide a free home to? Greek Muslims, better known to us as modern day Turks, have their own state which is called Turkey, because they adopted a Turkish identity, Turkish names, the Turkish language and Islam. Historically, many did this on the basis of compulsion and duress. Others abandoned their identity, religion and culture for reasons of self-gain and so forth. Thus, it is not surprising that some 86% of the DNA of the Turkish population, as attested to by genetic studies are of Greek origin, while the remainder consist of Armenian, Arab, Slavic, Georgian and Assyrian elements, with a very low genetic link to a nomadic Turkish heritage from Central Asia. The tragedy of my own family history attests to the loss of family through forced assimilation and genocide, thus meaning that those relatives who were separated from us and not killed, have descendants who are now Turks, define themselves as Turks, and could easily be sent to war to kill family in Greece, and yet are still biologically related to me and to those who reside in Greece! Yet why do we forget that blue and white were the colours that marked out unbelieving “kuffars” (infidels) in the apartheid of traditional Islamic societies like that of the Ottomans? 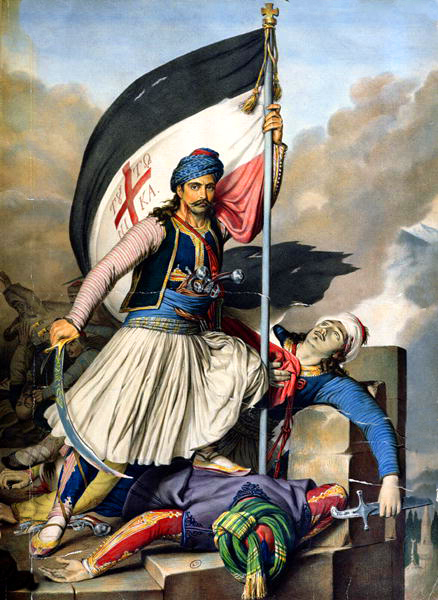 Why have Greeks forgotten that Islamic Sharia law and the principles of the Charter of Umar, via the treaty of Mehmet II the Conqueror of Constantinople, governed Greece prior to 1821; and still applies to those of us who still await our freedom, while Athens and its Western xenomania sell out what was liberated with blood and tears? There is much more that can be said, but we will publish another article on the subject in due time. But the thought we wish to impart is a question, do we show due respect to the solemn memory of those heroes of 1821 and their religious/cultural sensitivities, which bestowed upon us freedom and a better life? Or do we choose to party on a solemn occasion just as certain groups of Australians dishonour Anzac Day with revelry and drunkenness? 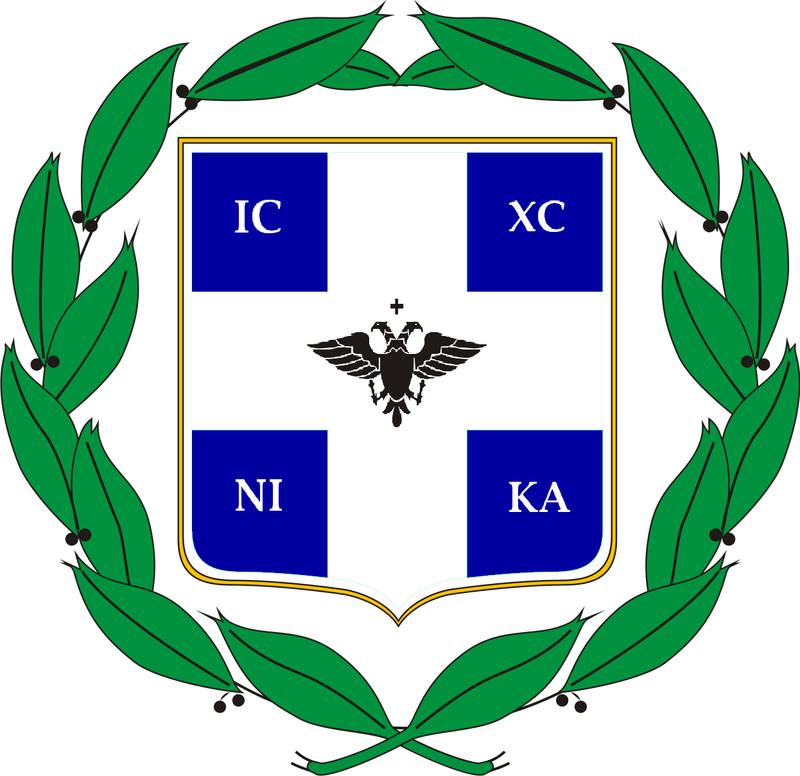 Tagged with: 25th March Athens' Western Xenomania Charter of Umar For the Faith and the Fatherland - freedom or death! 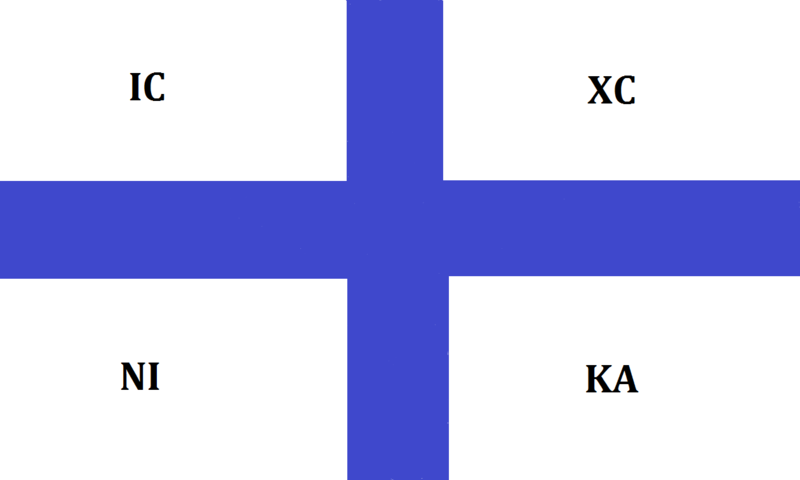 Greece's obsession of the West Greek National Day Legacy of the Kollyvades Martyrs of the Genos Questions about Greek National Day Remembering 1821 Sharia Law in Ottoman Greece The DNA origins of modern Turks The fight for freedom Treaty of Mehmet II Turkokratia Why was Greece created?